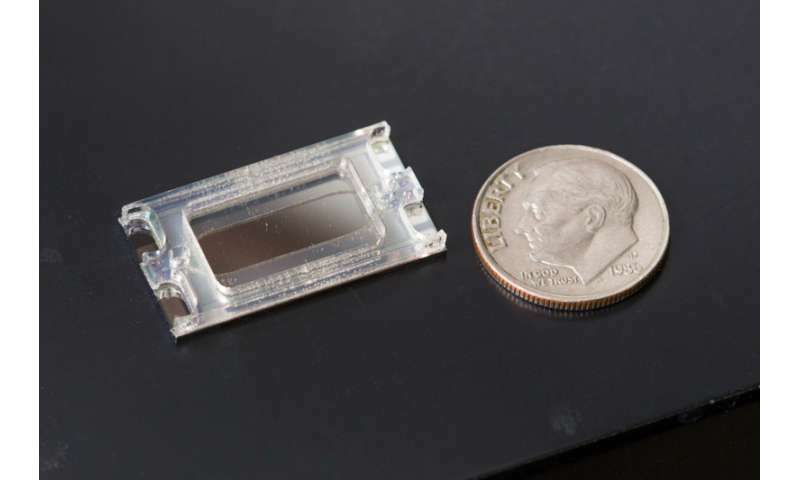 An artist's representation of the nanoparticle removal chip developed by researchers in Professor Michael Heller's lab at the UC San Diego Jacobs School of Engineering. 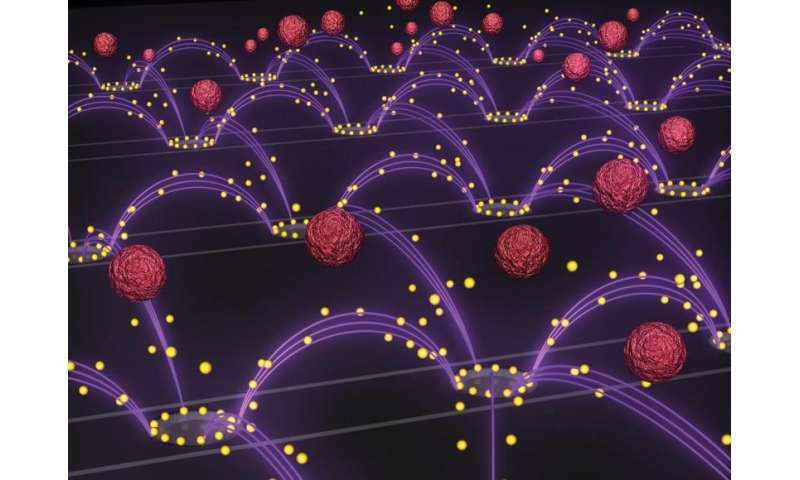 An oscillating electric field (purple arcs) separates drug-delivery nanoparticles (yellow spheres) from blood (red spheres) and pulls them towards rings surrounding the chip's electrodes. The image is featured as the inside cover of the Oct. 14 issue of the journal Small. Credit: Stuart Ibsen and Steven Ibsen. "This is the first example of isolating a wide range of nanoparticles out of plasma with a minimum amount of manipulation," said Stuart Ibsen, a postdoctoral fellow in the Department of NanoEngineering at UC San Diego and first author of the study published October in the journal Small. "We've designed a very versatile technique that can be used to recover nanoparticles in a lot of different processes." This new nanoparticle separation technology will enable researchers—particularly those who design and study drug-delivery nanoparticles for disease therapies—to better monitor what happens to nanoparticles circulating in a patient's bloodstream. One of the questions that researchers face is how blood proteins bind to the surfaces of drug-delivery nanoparticles and make them less effective. 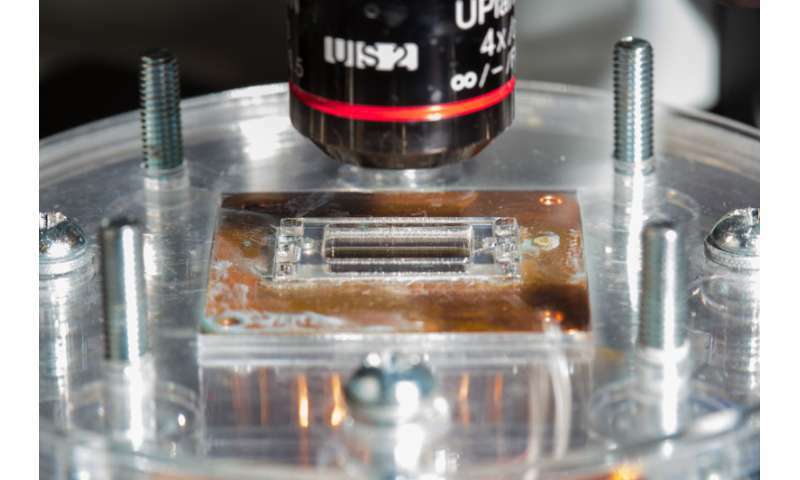 Researchers could also use this technology in the clinic to determine if the blood chemistry of a particular patient is compatible with the surfaces of certain drug-delivery nanoparticles.